New pallet racking Archives - Shelving & Racking Ltd.
After the festive break we are straight back to full speed, with used pallet racking deliveries leaving us every day. We have huge quantities of great quality used warehouse racking across a wide range of sizes and from all leading manufacturers. So whether you need parts for your existing Dexion, Apex, Redirack or Link 51 warehouse racking or you just need something to put your pallets on and clear the floor, give us a call and we will do all we can to help. We are always well stocked when it comes to new pallet racking, longspan shelving and our extensive range of pallet racking accessories. Most of these can be dispatched in 2-3 working days to any UK mainland address. If you want to start the new year by replacing some missing beam locks, damaged column guards or by putting in some pallet support bars, we can get them to you quickly and for a great price. We already have deliveries booked to all parts of the UK in the next few weeks, and if there is space available we will always try to accommodate orders for delivery as quickly as possible. If you are close to Portsmouth, Durham, Cardiff or Peterborough get in touch now and we will do our best to fit you on a vehicle. Call us now on 0800 612 3210 or use the enquiry form to send us as many details as you can and we will reply to you quickly. 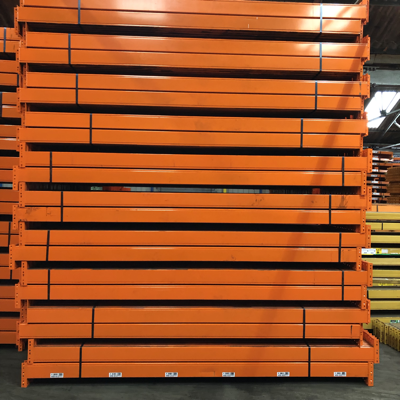 We always have an extensive range of used warehouse racking in a wide variety of sizes and duties. 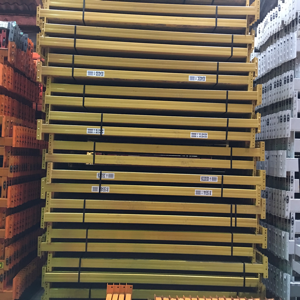 Leading manufacturers such as Dexion, Link 51, Redirack and Apex are our biggest sellers but we usually have used pallet racking in other makes, like PSS, Esmena, Mecalux and Hilo, in stock. 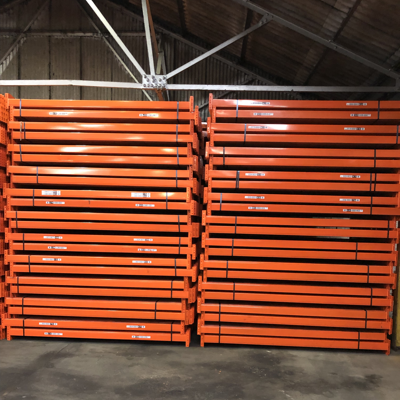 Our turnover of used stock is very quick and so it best to give us a call or send an enquiry to confirm availability, particularly if you are looking to add to an existing racking system. We will do all we can to find a specific size if required, or the closest possible alternative, and used racking frames can be adjusted to whatever height is needed. New pallet racking, longspan shelving and industrial racking accessories are generally kept in stock and so can be dispatched quickly. We have deliveries going across the UK every day, so whether you are in Bolton, Hull, Cardiff or Portsmouth we can always give you a great delivered price. Call us now on 0800 612 3210 to tell us what you need, or send us the details on an enquiry form and we will reply to you quickly. 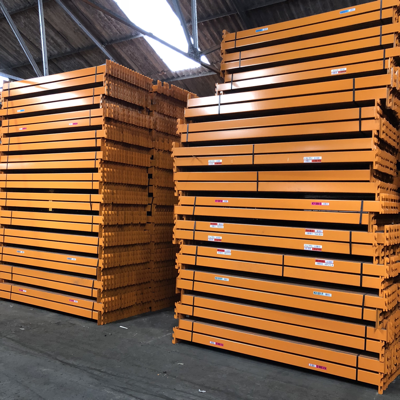 We go into the New Year with a fantastic stock of used warehouse pallet racking in a wide range of sizes, manufacturers and duties. As always, we have large quantities of all major racking systems including Dexion, Link 51, Redirack, Apex and PSS. 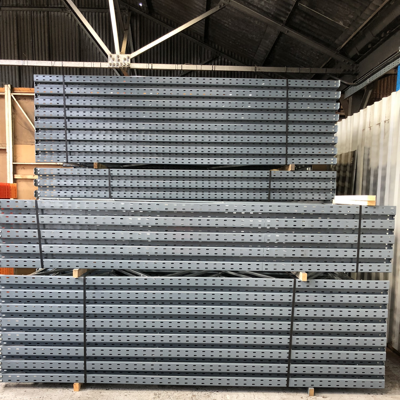 We also have new pallet racking, including pre-galvanised racking suitable for outdoor use, available for quick dispatch. To complete you order, we always have column guards, pallet support bars, timber and wire mesh decking, barriers and load notices. Call us now on 0800 612 3210 or send us an enquiry and we will get back to you quickly.